There are all sorts of support groups for people going through transitions. There are programs for those struggling with the loss of a loved one, addiction, anger, and divorce, but there aren’t any groups for people struggling with retirement. There’s a void in the area for a couple of important reasons. The first has to do with how the general public perceives retirement. Unlike undesirable things such as divorce, anger, or alcohol abuse, retirement is supposed to be a good thing that people look forward to. People assume it’s this glorious stage where new time and freedoms unleash opportunities to spend more time with family, rekindle old passions, and explore new people, places, and cultures. But what if that’s not the case. What if you don’t feel comfortable? What if you miss work, don’t get along with your spouse, or feel disconnected with your friends? What if you’re bored or lonely? That’s not how retirement is supposed to look and feel! You’re supposed to be happy, engaged, and fulfilled. You should feel grateful and appreciated. But it doesn’t, making it a confusing time with no immediate relief in sight. The second issue is, who’s going to fess up? Let’s face it, many people who seek out support for anger management, addiction or divorce are doing so because they are court-ordered. And a good portion of new widows / widowers are hesitant to join a grief group as they feel their situation is different or that their needs may not be met. In other words, people aren’t waiting in the wings for support groups, particularly for retirement. After all, who wants to be vulnerable and the poster child for not being able to replace their work identity, fill their time, grow closer to family and friends, or stay current and relevant. It’s a double-edged sword because it’s very common to have feelings like this about life in retirement, but until you’re there it’s hard to comprehend them. Fact is, traditional retirement planning is fatally flawed. It is founded on half-truths and bad assumptions. That’s why so many people are hell bent on finding another way to define or describe it. The good news is that there’s nothing wrong with you. There’s something wrong with how we have all been programmed to prepare for retirement. We’ve been brainwashed with this Pollyanna, Utopian type belief system where life finally comes together and flows with little effort. But nothing could be further from the truth. Retirement takes work! People need new skills, mindsets, scheduled activities and more. But because, people walk into it with old and outdated ideas about it, they can quickly find themselves lost or feeling out of sorts. People need to be reprogrammed to go into retirement with more than just a written financial plan. They need a concrete, written plan for what everyday life will look like and feel like. There’s no benefit to walking into retirement and wasting the first and maybe some of the best years trying to figure it out. We are here for you to help you along the way. Contact us today and put our knowledge and experience to work for you. 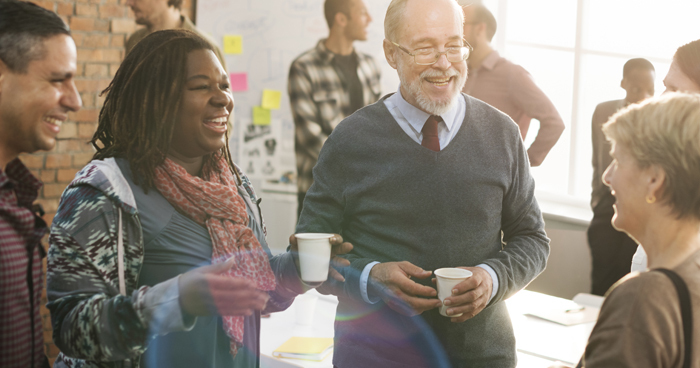 There is no cost for an initial meeting where we can get to know more about you and discuss next steps for making the most of your life in retirement.